Ever wonder how to build curiosity? From elaborate castles to secret forts, let your design dreams come to life in Project Build. Learn about the different factors that influence architectural design while exploring how to build a better community for tomorrow. Budding architects can create blueprint sketches, experiment with floorplans and discover different architectural styles. You can rearrange the layout of your bedroom or design a mock building for a virtual client using multimedia technology. Then put your plans to the test. Whether you want to build the tallest tower, the longest bridge or the next Taj Mahal, the sky’s the limit with Build It! blocks. 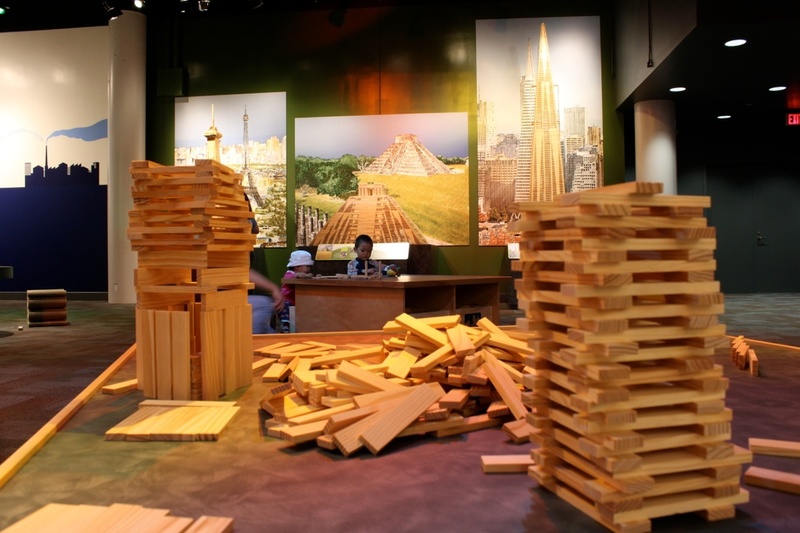 Set up your construction site next to architectural wonders from around the world like the Eiffel Tower, the Transamerica Pyramid or the Temple of Kukulcan … all made entirely of Build It! blocks. Not sure where to start? Spin the design wheel for structural suggestions, or take a look at other guests’ creations on the Inspiration Wall. 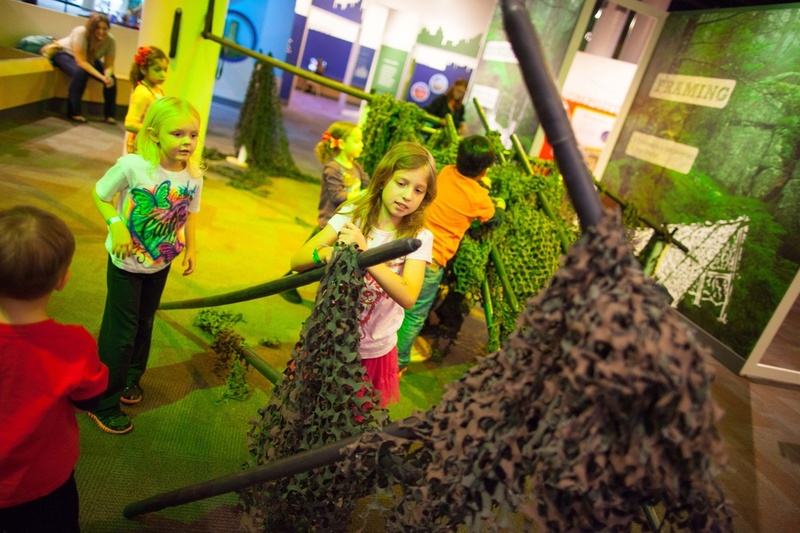 In Making Shelter, channel your inner survivalist to build the best fort ever using PVC pipe and posts. Map out your plans on the chalkboard, or jump right into building the frame. Don’t forget to protect your structure from the natural elements with camouflage netting. Enjoy your newly built shelter or deconstruct it to start again. The possibilities are endless.